Birmingham returned to winning ways as they comfortably ran out 5-2 winners against Fulham at Craven Cottage. Stephen Gleeson, Paul Caddis and Jon Toral goals saw Gary Rowett's men boast a three-goal cushion at half-time. Alex Kacaniklic and Ross McCormack netted for the hosts, reduced to 10 men by James Husband's red card, but efforts from Clayton Donaldson and Viv Soloman-Otabor saw City secure a comfortable win. 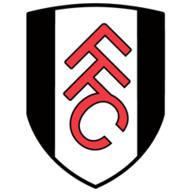 The signs were there early on when Fulham midfielder Jamie O'Hara slipped on the greasy Craven Cottage surface, allowing Toral to break and square to Demarai Gray - only for goalkeeper Joe Lewis to palm away at the near post. The home side were almost caught out again on eight minutes, but Donaldson unexpectedly put his effort well wide. Fulham started to regain their composure and Tom Cairney forced goalkeeper Tomasz Kuszczak into a fine stop soon after. However, Birmingham powered ahead with two goals in the space of three minutes. Their first, after 19 minutes, came when Gleeson struck first time from a pass from Jacques Maghoma to superbly drive home from 20 yards out. Caddis doubled the lead from the penalty spot on 22 minutes when Donaldson was fouled by Lewis, although cries for a dismissal from the away fans were ignored. Fulham attempted to regain a foothold in the game and Tim Ream curled his effort over the bar after managing to cut inside the box. However, it got even worse for the west Londoners two minutes later when Toral fired home after a byline cross from Maghoma. O'Hara attempted to calm increasingly frayed nerves when his 35th minute free-kick hit the crossbar, although the ire on the half-time whistle was aimed at a disconsolate-looking Kit Symons. The mood further darkened four minutes after the restart as Husband was dismissed for the home side with his second booking of the game. 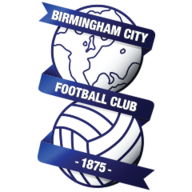 Birmingham, on the other hand, were not content to sit back on their three-goal cushion and further tested the Fulham defence with pace. The day of the home side was summed up with a 62nd-minute effort from substitute Matt Smith, who saw a low drive from the edge of the box hit the post and away to safety. They were given a glimmer of hope four minutes later when Kacanilkic slotted home from a tight angle, but Donaldson was quickest to react to a save from Maikel Kieftenbeld's shot to put the result beyond doubt. A late effort from McCormack was cancelled out again from a solo effort from Solomon-Otabor.